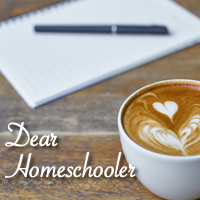 Stay connected by subscribing to Dear Homeschooler’s newsletters. Get notified of new posts, free downloads, and giveaways. Receive Scoops, a weekly bulletin full of links to free materials, discounts and bargains, interesting reads, homeschool link-ups, and more!